Ariel Sharon died eight years ago (after a botched medical procedure put him in an irreversible coma). This past weekend, the corpse stopped breathing. Big freaking deal. What makes it a big deal is how the media and governing elites treat it. “The tough warrior for Israel who became a pioneer for peace,” “military hero turned statesman,” and all the rest of it. Joseph Biden will head up the U.S. delegation appointed by president Obama to Sharon’s funeral – on Biden’s last visit, the Israeli government deliberately humiliated him and the United States by announcing another settlement expansion. Give the scum his due. It’s not an easy thing for a military-political figure in a rather small country to rise to the level of a full world-class war criminal, but Sharon achieved it. His field of operations could never match the sheer global scale open to Kissinger, Nixon, the Clintons and the Bushes, but he made the most of what he had. Just consider a few high points in a mass killer’s career. Israel’s Lebanon debacle drove Begin (a murderous figure in his own right) into a deep depression from which he never recovered. That gave Sharon, after his own political rehabilitation, the opening to take over Begin’s rightwing Likud party. In 2000, just in time to sabotage any possibility of successful peace negotiations brokered by U.S. President Bill Clinton, Sharon marched onto the grounds of the al-Aqsa mosque accompanied by a huge military detachment, touching off the Second Palestinian Intifadah with horrific civilian casualties on all sides. 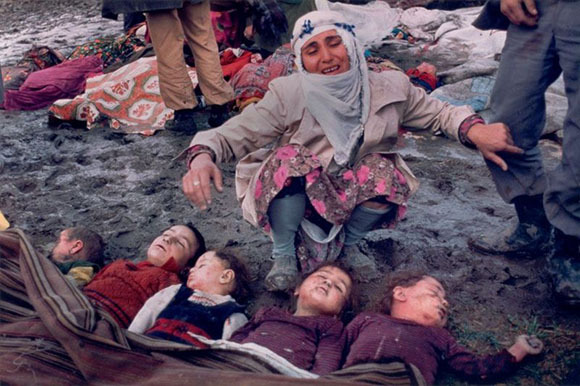 Sharon was responsible for the massacre of Palestinian civilians in refugee camps. Ultimately, Sharon got his peace statesman badge with the “unilateral Israeli withdrawal” from Gaza, with the purpose freeing the army from the burden of protecting Israeli settlements and turning the place into a free-fire zone. Not long afterward, his own demise came before he could reap the peace prize he may have craved or the war crimes trials he so richly merited. 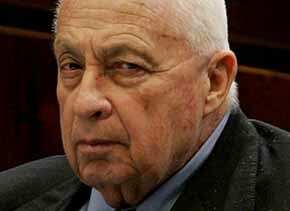 The destructive legacy of Ariel Sharon, may he rot in peace, will last for decades. He was truly a living modern Golem. 1 For a Palestinian memory of the 1982 massacre, see here.